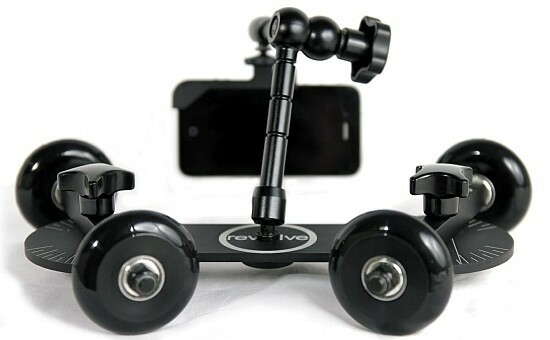 The Revolve camera dolly is a portable, versatile and affordable camera dolly system. “It allows anyone with a video camera to achieve smooth, dynamic, cinematic video easily and in a package they can actually afford,” explains designer and inventor Jeremy Canterbury. “It is compatible with virtually any camera, and is suitable for use on all surfaces and at any location.” Jeremy has recently initiated a Kickstarter project to fund themanufacturing of this product in order to make it available to the video community. Interested readers are encouraged to visit the website below.